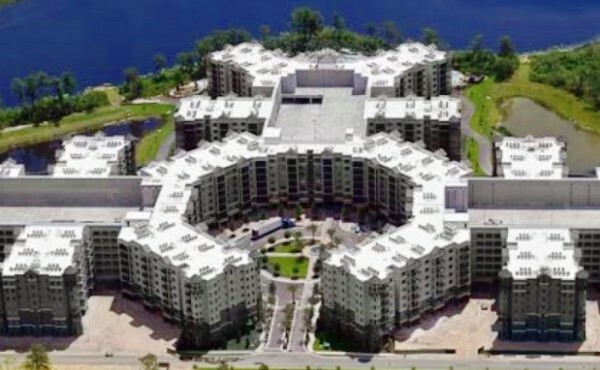 Fort Lauderdale-based BTI Partners and another developer plan to open the first units at their resort development near Walt Disney World early next year. BTI Partners and Connecticut-based Westport Capital Partners LLC expect to open the first 184 units of the 878-unit project in western Orange County, called Grove Resort & Spa, on February 16. The resort will have a mix of rental apartments and condo-hotel units with two floor plans: two bedrooms with two bathrooms, and three bedrooms with three bathrooms. The two-bedroom units span 1,338 square feet and the three-bedrooms 1,614 square feet. First-phase amenities scheduled to open in February along with the first 184 units are a swimming pool and spa, a lounge and two bars. Other first-phase amenities scheduled to open next year include a six-acre water park in late spring. The Orlando-area resort property, formerly a timeshare development known as Grand Palisades, is substantially built on more than 100 acres at 15665 Grand Palisades Boulevard next to Lake Austin. But it never has opened. A previous developer with financial and legal problems suspended work on the development. BTI Partners and Westport Capital paid $69 million for the property at a 2014 auction and last April started to renovate it.